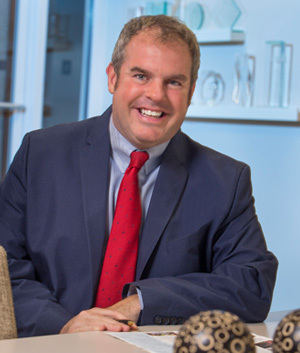 John McKee serves as Regional Operations Director, providing oversight, guidance and support to assigned regional, senior and multi-site managers, who in turn are responsible for a strong and diverse portfolio of residential and mixed-use communities throughout the East Coast. Currently, John oversees a portfolio of over 3,000 apartment homes as well as mixed-use commercial and retail real estate. He is actively involved in capital planning, fiscal oversight, staff leadership and development and, he serves as a trusted liaison among owners, vendors, municipalities and other key stakeholders within the portfolio. John McKee began his career in real estate in 1999, focusing on affordable housing in 2008. In April, 2009, John joined Peabody Properties as a Regional Property Manager. In this position, he was responsible for overseeing a Boston-based portfolio of affordable housing communities. His dedication to providing client communities with high-quality affordable housing services, together with his extensive expertise in all disciplines of property management and his demonstrated ability to inspire others to achieve, quickly established John as a valuable member of the PPI Team. As John’s portfolio expanded and grew more complex, he accepted each new assignment with similar resolve and skill. John’s life-long commitment to the cause of eradicating homelessness in America, and in particular, to assisting homeless Veterans, formulated what would soon be identified as his specialty. Concurrently, PPI had been launching its own pioneering initiative to create high quality, permanent housing with specialized supportive services for formerly homeless Veterans. The two missions aligned seamlessly, and in 2012 John was chosen to assume a leadership role in this very worthwhile endeavor. Today, all VASH (Veterans Affairs Supportive Housing) communities managed by PPI remain under John’s direction. In 2013, John received the Corporate Professional of the Year Award and in 2014, he received the prestigious Professional Achievement award from the Rental Housing Association (RHA) of Massachusetts, in recognition of his achievements on behalf of the rental housing community, including his work with homeless Veterans and his efforts to maximize energy efficiency. John received his Juris Doctorate and Bachelor’s degrees from Boston College.